Stored safely inside its protective shipping container, the PRISMA spacecraft emerges from the 747 cargo aircraft following its arrival at French Guiana’s Félix Eboué Airport. Payload preparations have commenced for Arianespace’s first Vega mission in 2019, which will deliver the Italian Space Agency’s (ASI) newest Earth observation satellite to Sun-synchronous orbit in March. 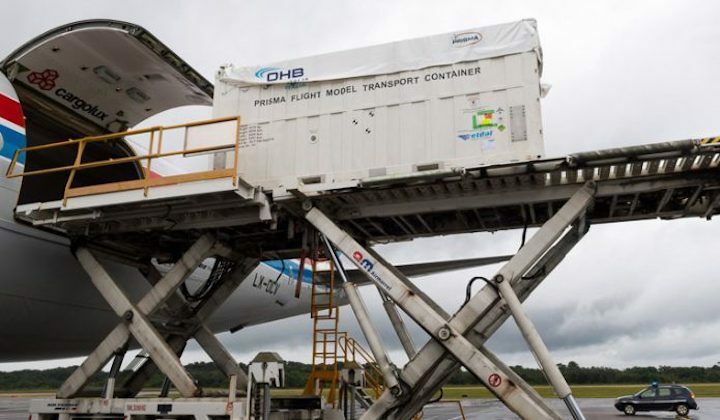 Built by OHB Italia as system prime contractor, PRISMA (PRecursore IperSpettrale della Missione Applicativa) was transported to French Guiana aboard a chartered 747 cargo aircraft – touching down at Félix Eboué Airport earlier this month, then travelling by road to the Spaceport to begin processing. PRISMA – which will weigh approximately 900 kg. at liftoff – is fitted with an innovative electro-optical instrument combining a hyperspectral sensor with a medium-resolution panchromatic camera. This type of combined instrument offers the advantages of conventional observation (based on the recognition of geometric characteristics of a scene) coupled with the ability to determine the chemical and physical characteristics of the objects present in the scene, using the hyperspectral sensor. The scientific community and other users will be able to employ these capabilities for a wide range of applications, including – but not limited to – environmental monitoring, resource management, identification and classification of crops, and the efforts to limit pollution. 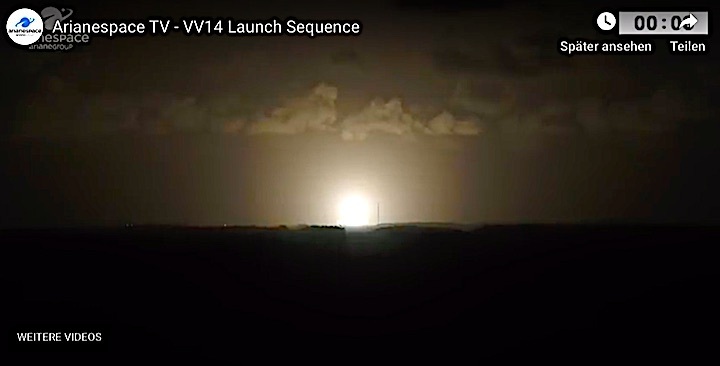 The March mission with PRISMA is designated Flight VV14, signifying the 14th launch of the lightweight Vega – which joins Arianespace’s medium-lift Soyuz and heavyweight Ariane 5 in a complete launch vehicle family to orbit commercial, governmental, institutional, scientific and experimental payloads. 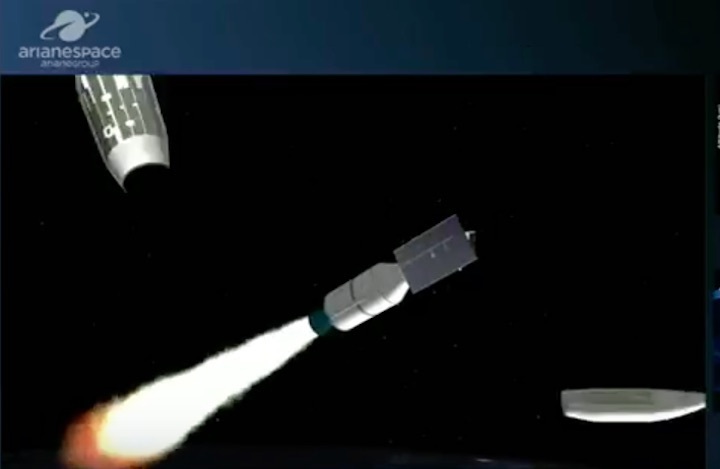 The company’s fast-paced operational schedule in 2019 will include up to 12 missions using the three highly-capable launchers. 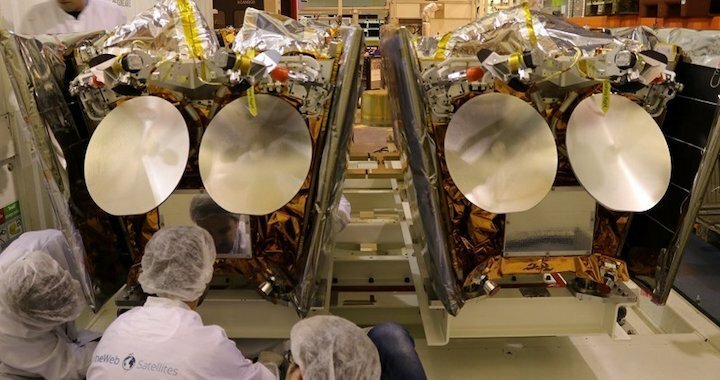 Arianespace’s first mission in 2019 – Ariane 5 Flight VA247, carrying Saudi Geostationary Satellite 1/Hellas Sat 4 and GSAT-31 – is scheduled for a February 5 liftoff from the Spaceport. 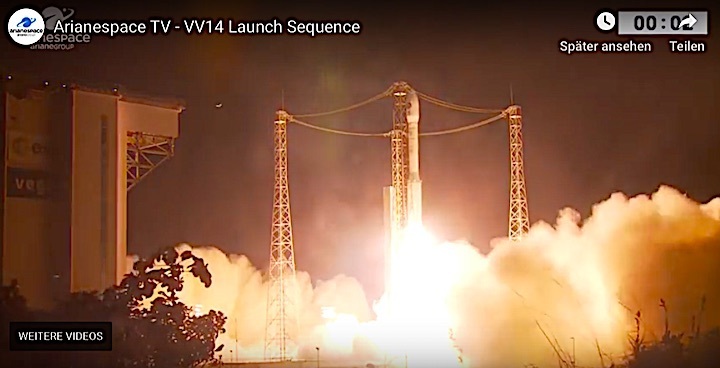 Toulouse, France, - OneWeb Satellites, a joint venture between Airbus and OneWeb, today announced the delivery of the first satellites for the OneWeb constellation. 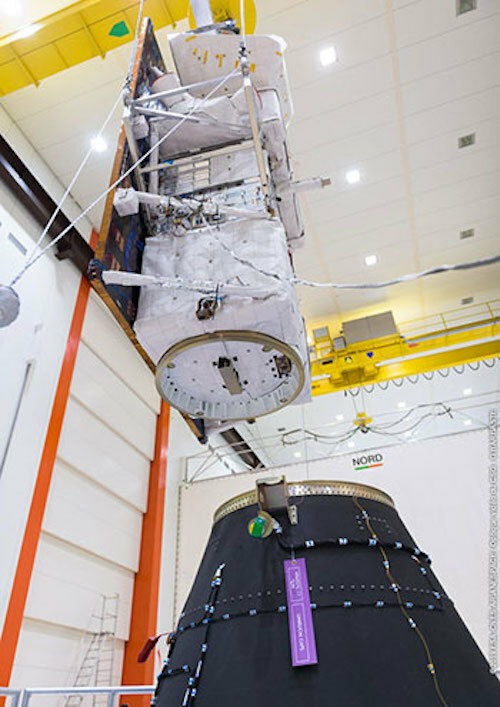 The satellites were manufactured at the OneWeb Satellites facility on the Airbus Defence and Space Toulouse site and the first six have been shipped to Kourou for launch. 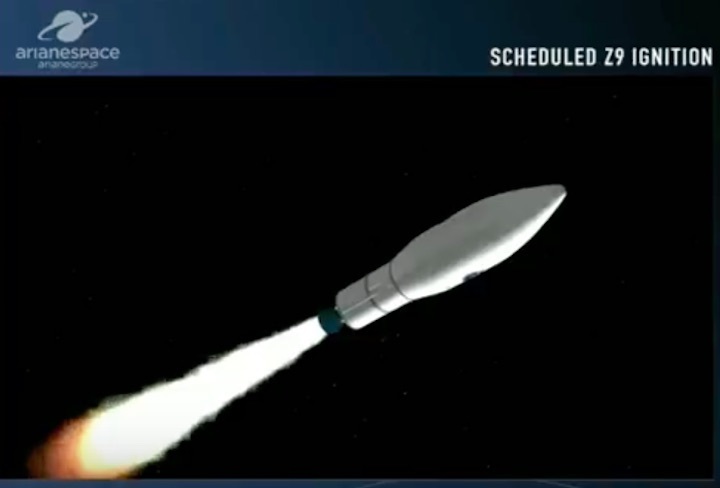 The first launch of the mega constellation is scheduled for 19 February 2019 on a Soyuz rocket - the beginning of a long series. With this generation of satellites, OneWeb Satellites is entering a new chapter in the story that started three years ago. “Our team is transforming the space industry and we are in the midst of demonstrating we can deliver on our promises,” said Tony Gingiss, OneWeb Satellites CEO. OneWeb Satellites will now turn its focus to ramping up production of the full constellation of satellites in its new factory in Florida, demonstrating once again the agility of this JV. OneWeb Satellites is a joint venture between OneWeb, a global communications company whose mission is to provide Internet to everybody, everywhere, and Airbus with its first order to include the production of ultra-high performance communications satellites. The Toulouse OneWeb Satellites facility is being used to validate the innovative production methods necessary to manufacture these satellites at a scale never achieved before, de-risk any potential issues, and lay the framework for the larger multi-line OneWeb Satellites factory near the Kennedy Space Center, Florida. The satellites, weigh approximately 150 kg and will operate in near-polar, 1,200km LEO orbit. The PRISMA satellite on Arianespace’s upcoming Vega mission has completed a key step in its pre-launch checkout process, which will enable this Italian Earth observation platform to be orbited in mid-March from French Guiana. During activity in the Spaceport’s payload processing facilities, PRISMA (PRecursore IperSpettrale della Missione Applicativa) underwent its successful fit-check – a milestone in the preparation campaign that validated this spacecraft’s compatibility with the adapter that is to serve as the payload interface with Vega. 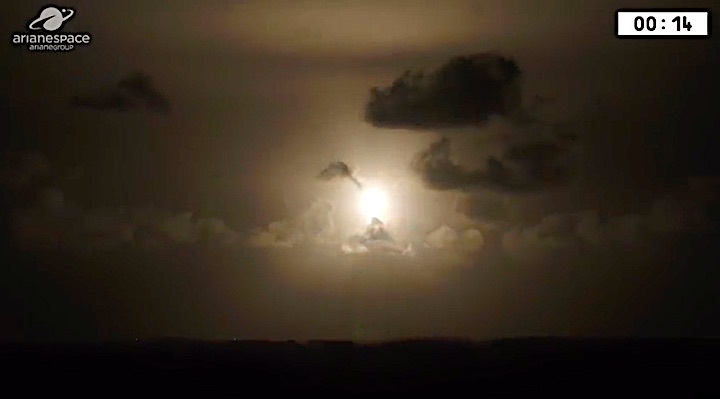 The mission with PRISMA is designated Flight VV14, signifying the 14th launch of the lightweight Vega vehicle – which joins Arianespace’s medium-lift Soyuz and heavyweight Ariane 5 in operations from French Guiana for a complete launcher family to orbit commercial, governmental, institutional, scientific and experimental payloads. PRISMA – which will be operated by the Italian Space Agency (ASI) – was built by OHB Italia on a dedicated platform hosting the payload supplied by Leonardo Airborne and Space Systems. It is fitted with an innovative electro-optical instrument combining a hyperspectral sensor with a medium-resolution panchromatic camera. 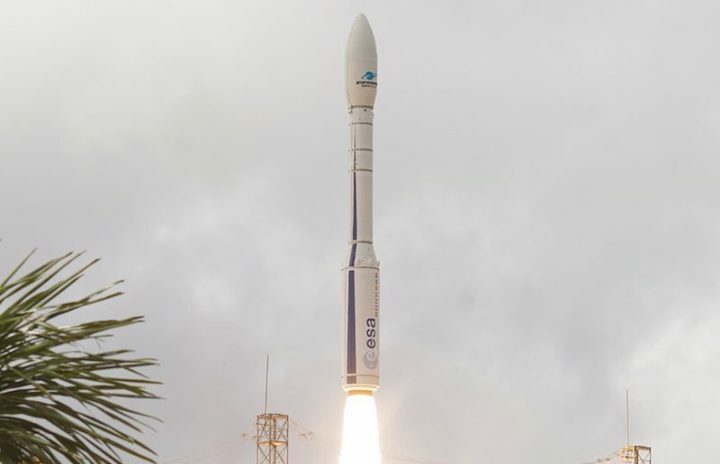 For its third mission of the year, and the 14th Vega flight since this launcher began operations at the Guiana Space Center in 2012, Arianespace will orbit the PRISMA Earth observation satellite on behalf of the ASI Italian space agency within the scope of a contract with OHB ITALIA. 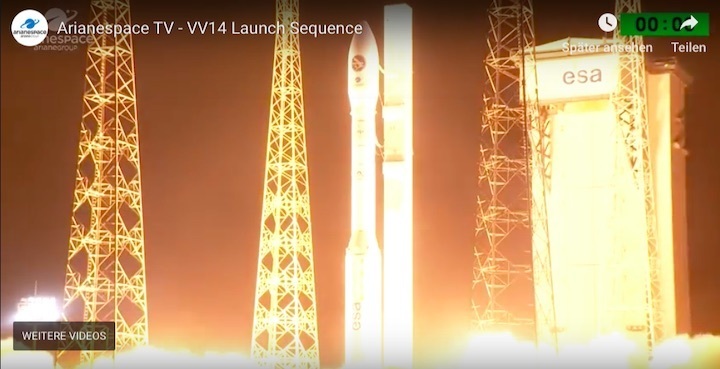 In conducting this mission for Italy, Arianespace once again proves that Vega is a multi-purpose launch vehicle, perfectly tailored to address the growing Earth observation satellite market. 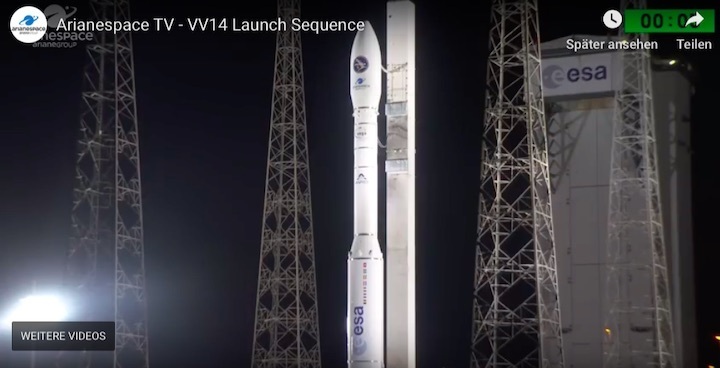 Flight VV14 will mark the 12th Vega mission dedicated to Earth observation, with PRISMA to become the 70th Earth observation satellite launched by Arianespace overall. PRISMA (PRecursore IperSpettrale della Missione Applicativa) was built for the ASI Italian space agency by OHB ITALIA as prime contractor, with LEONARDO responsible for the payload. 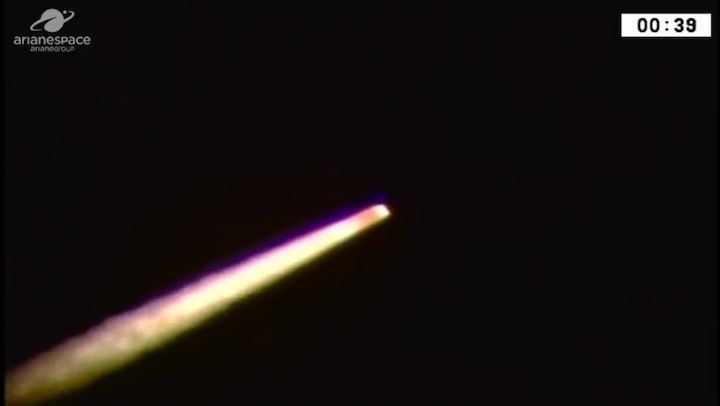 Vega will deliver the satellite into a Sun-synchronous Low Earth Orbit (SSO) for its Earth observation mission. PRISMA will provide major applications to protect both our planet and Italy’s national environmental safety. Equipped with a state-of-the-art electro-optical instrument, made by a medium resolution photo camera sensitive to all the visible range (panchromatic) and by an innovative hyperspectral sensor, it will employ these capabilities for environmental monitoring, resources management, identification and classification of crops, fight against pollution, etc. 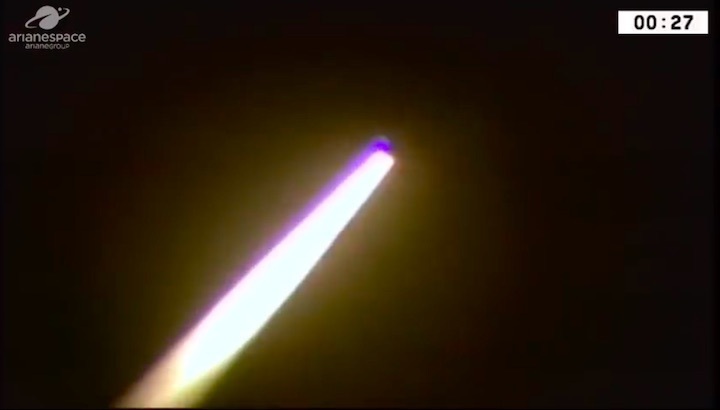 PRISMA will be the third satellite launched at the service of ASI by Arianespace, whose backlog comprises two other spacecraft for the Italian space agency: a pair of COSMO-SkyMed Second-Generation satellites on Soyuz and Vega C, for Thales Alenia Space on behalf of ASI and the Italian Ministry of Defence. The PRISMA satellite was designed and manufactured by a consortium of Italian companies led by OHB ITALIA SpA and LEONARDO SpA. OHB ITALIA is responsible for overall program management, planning, systems engineering, development and integration of the platform and all validation activities. LEONARDO is responsible for the design, development, integration, testing and calibration of hyperspectral sensor and panchromatic camera. 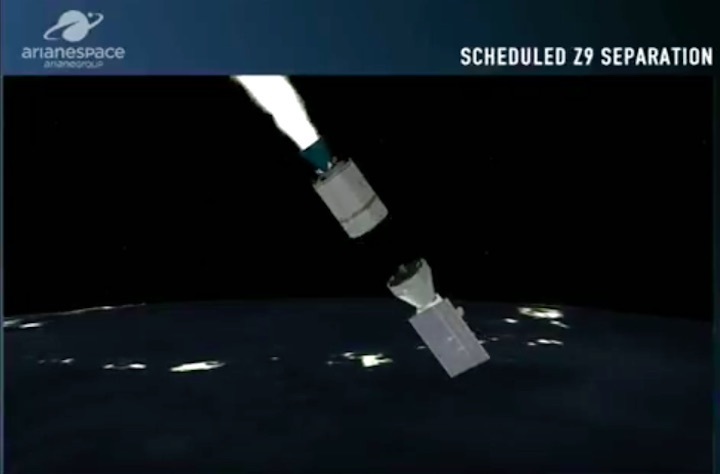 PRISMA will be the 25th OHB satellite orbited by Arianespace, with the total comprised of three dedicated satellites and 22 constellation satellites. Eight OHB satellites remain in Arianespace’s backlog, including four Galileo satellites to be launched on the next-generation Ariane 62 version.